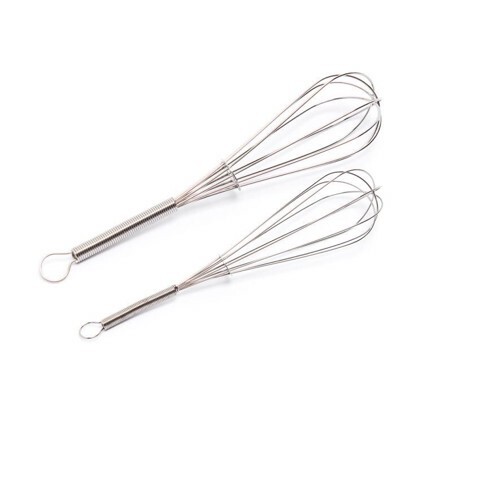 St/Steel Whisk 2 Piece Set. 26 x 5.5cm l 20.5 x 4.5cm. Handle Diameter - 10mm. Chrome. Chrome Wire. 79G Packaging: Tie Card.